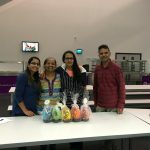 Easter Cooking Challenge | Oshwal Association of the U.K.
On Saturday 19th March, the Youth subcommittee organised the first “Great Easter Cooking Challenge” for people of all age and skill levels. 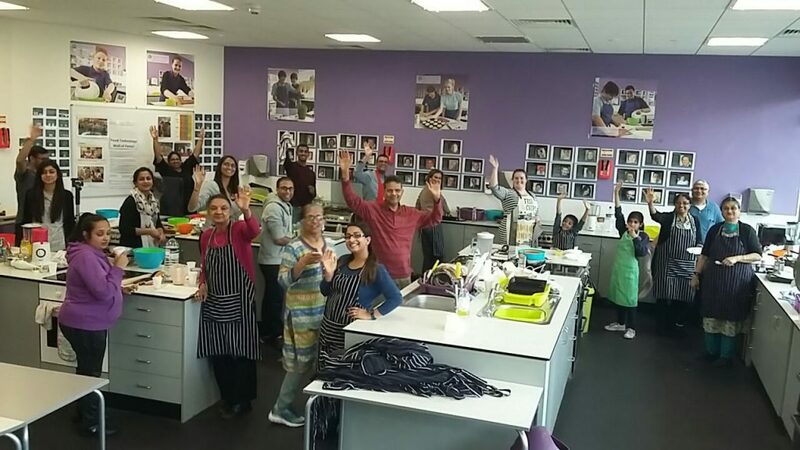 The event was designed to be an opportunity to cook and meet other food enthusiasts with a hint of competition too! The event consisted of several components including a sensory challenge using various food items to test sight, smell, sound and taste. This was followed the cooking challenge where teams were required to make a soup and cocktail for starters in 25 minutes using the ingredients given in a mystery box. The results were impressive to say the least; many groups produced extremely tasty yet visually stunning starters. For the mains the teams were tasked with producing a Vegetarian Picnic Basket Pie as part of a “Recipe Relay” in 70 minutes, the twist being that only 2 people per team at a time were permitted to be in the kitchen! The only time they could talk to the other half of the team was during a one minute handover! There were some truly amazing picnic baskets produced by the groups, which when sliced open, consisted of impressive colourful and neat layers of the different pie fillings. Finally for dessert the teams were asked to replicate an Easter cake demonstration given by The Cakeologists in 15 minutes. Participants were shown how to decorate a cake using buttercream and icing topped off with a handmade Easter bunny. Everyone made a great effort with great attention to detail and team work, the result being that the cakes were produced to a very professional standard. By the end of the event, there were happy, smiling faces aplenty and even requests for similar future events! It was an extremely enjoyable afternoon with the added benefit of many talented, budding chefs being discovered in the process! Congratulations to the winning team ‘The Champions’, which consisted of Sejal, Arti, Aniben and Lalitbhai, who it seems aptly named themselves at the start of the event! Thank you to everyone for taking part and hopefully there will be many more on the horizon!